Each year March 14 is celebrated as Pi Day because of its numerical date (3.14). It has become common for geocachers to host Pi day events, and this year I.B. 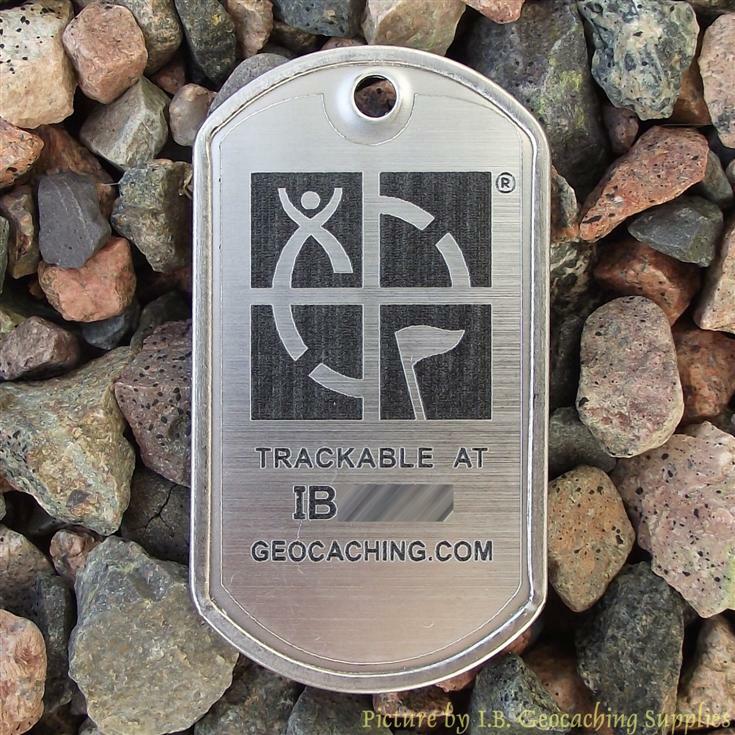 Geocaching Supplies is again organizing a group trackable project for event hosts who would like to have a semi-custom trackable for their event. The options are trackable geomedal geocoins, dogtags, buttons, keyrings. What is a Geomedal? It is a metal trackable like a geocoin, but the design is laser engraved like a wooden nickel. They are typically 2" to 2.5" in size and you can see examples of the Geomedals we carry in our Geomedal section. The images above show mockups of how the design will look. The coins will be around 2" high by 1.75" wide. The available finish colours are antique gold, antique silver, and antique bronze. For those on a tighter budget, trackable dog tags are an option that will look like this. 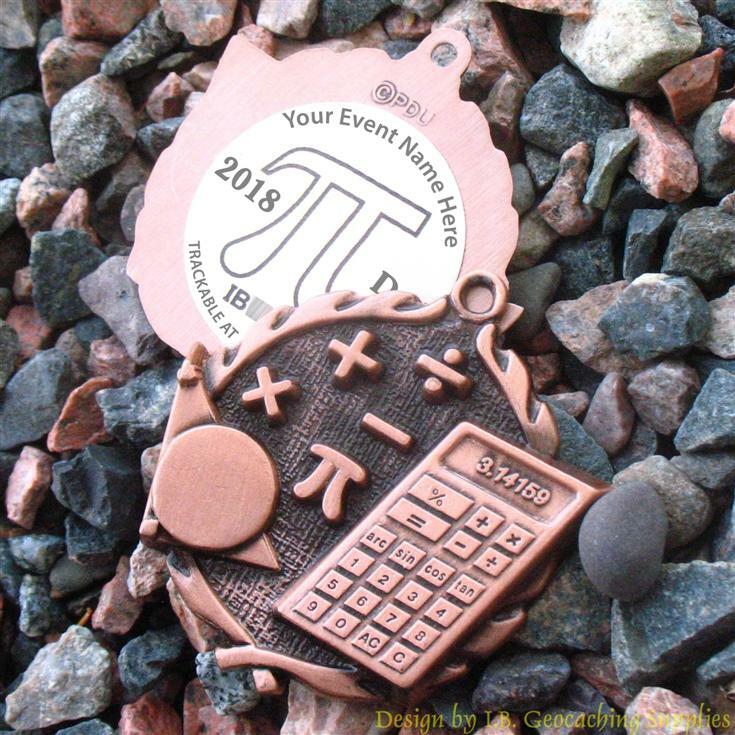 Least expensive will be Pi Day Event 1.5" buttons and 1.5" keyrings. The tracking numbers will share a common name (e.g. 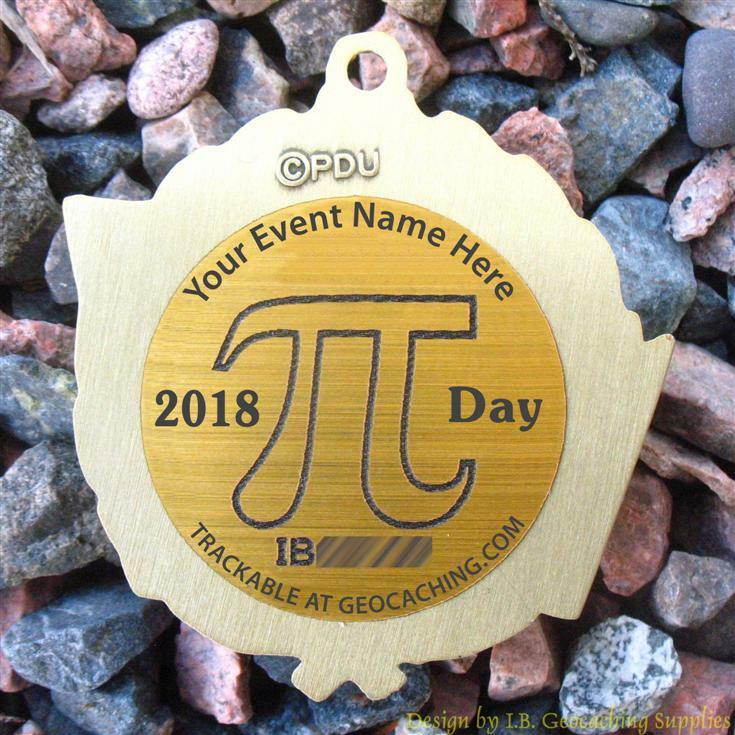 "Pi Day 2018 Trackable"). 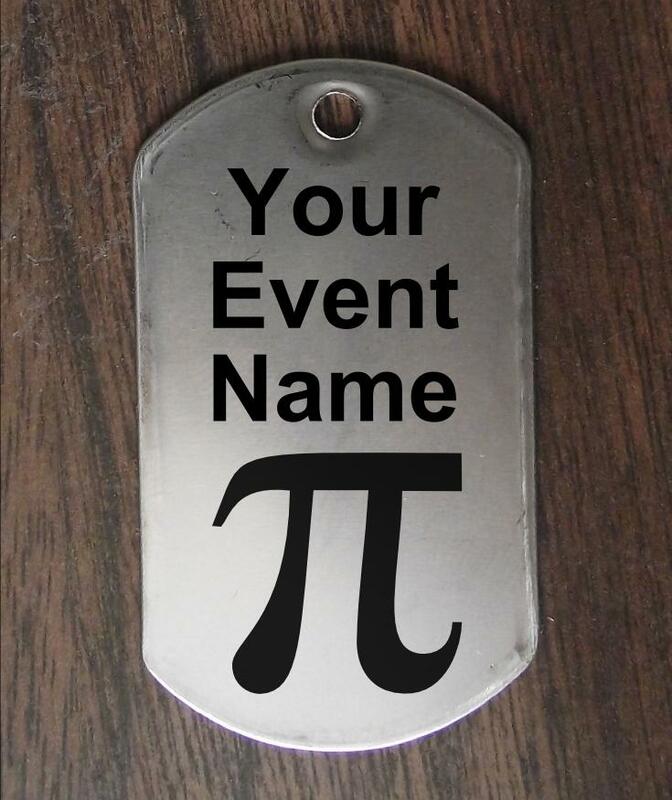 The text "Your Event Name" at the top of the design will be replaced with the name of your event. Be sure to specify your event name as you wish it to appear in the comments box when ordering. If you wish to have a completely custom design (for example, with your geocaching group's logo) that is possible. Please contact us for pricing details. Your design must be in a vector format (EPS, AI, or SVG) and it will be submitted to Groundspeak for approval before it can be confirmed for use. Shipping cost will depend on the order size and will be estimated in the shopping cart. Orders of buttons, keyrings, dog tags, or under 10 coins will be sent by regular mail with a normal delivery time of up to 2 weeks. Orders of over 10 coins will be sent by parcel to include tracking and insurance. February 3: Deadline to participate. The minimum order size is 5 for any of the options. The pricing table below shows the coin cost for different size orders and includes the tracking numbers.